- It supports MikroTik RouterOS 5.x, 6.x and the later version. > (W): 58(+1/-1) mm /(L): 50meters (max) / Thickness: 65um > Outside diameter: 63(+2/-2) mm > Inside diameter: 12(+0.5/-0.5) mm > Weight: 120 grams. 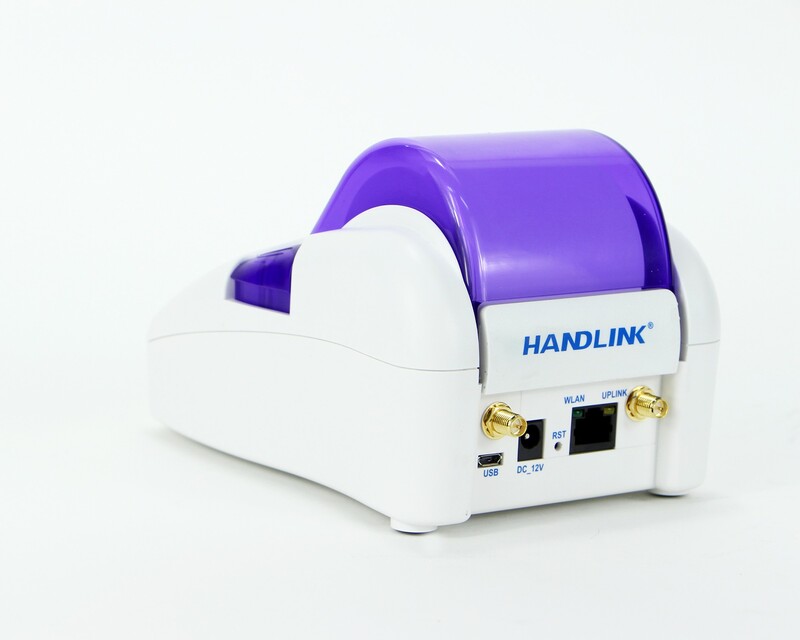 Handlink WG-500P M is a multinational patented printer which is compatible with MikroTik User Manager. 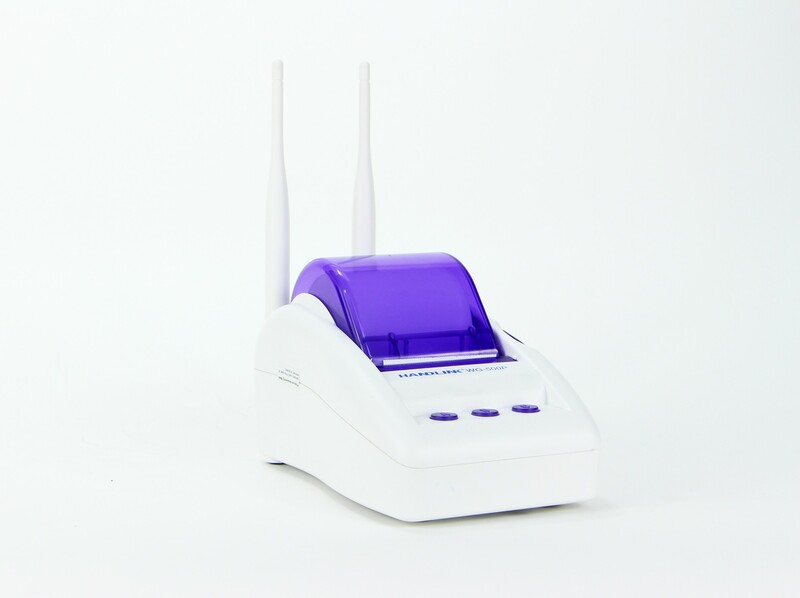 If you have the device installed with the MikroTik RouterOS and are worried about how to inform those visitors about their dynamic Wi-Fi account and password, you can connect it with WG-500P M to printout the ticket. With the population of mobile devices like smart phones and pads, more and more mini-sized venues such as café/ airport lounge/ store or shop need to provide Internet access for their customers. Traditionally, the venues who provide a public internet access with the same username and password to guests which are insecure and easy to get identity hijacked. Or they have to take lots of efforts to provide the secure Internet access for guests such as pre-built user’s accounts with passwords and print them out. 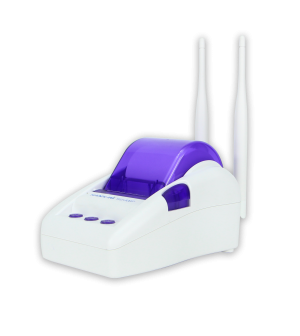 Now with advantage of the WG-500P M patented Account Generator, as long as you first set up the billing profiles in MikroTik RouterOS, the venues can easily print out a private Internet access ticket just in seconds with one press. There are two types for you to connect WG-500P M to MikroTik RouterOS.If you choose “Ethernet to MikroTik RouterOS“, WG-500P M can be used as a wireless access point. You can use buint-in ESSID. 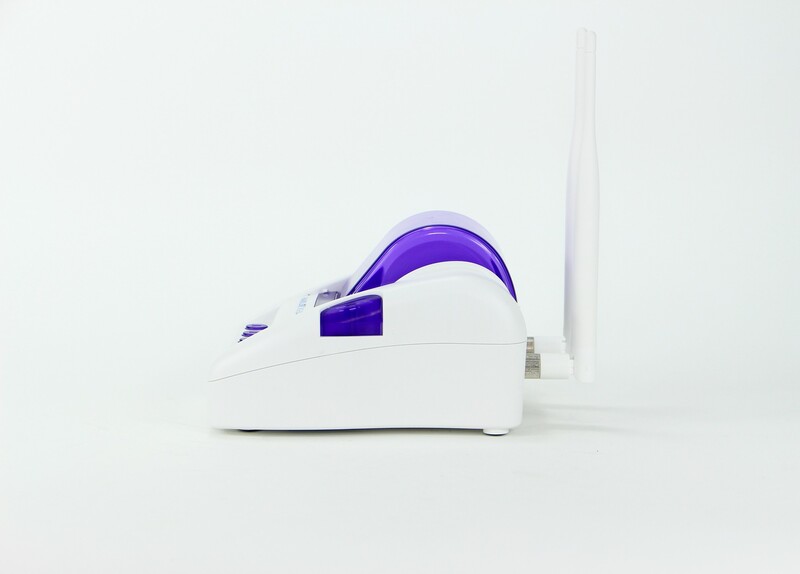 If you choose “Wireless to MikroTik RouterOS“, you can add an AP and WG-500P M can act as a wireless cilent. Up to 50 WG-500P M devices can be connected with MikroTik RouterBoard RB-450G. WG-500P M now supports MikroTik RouterOS 5.x, 6.x and the later version.